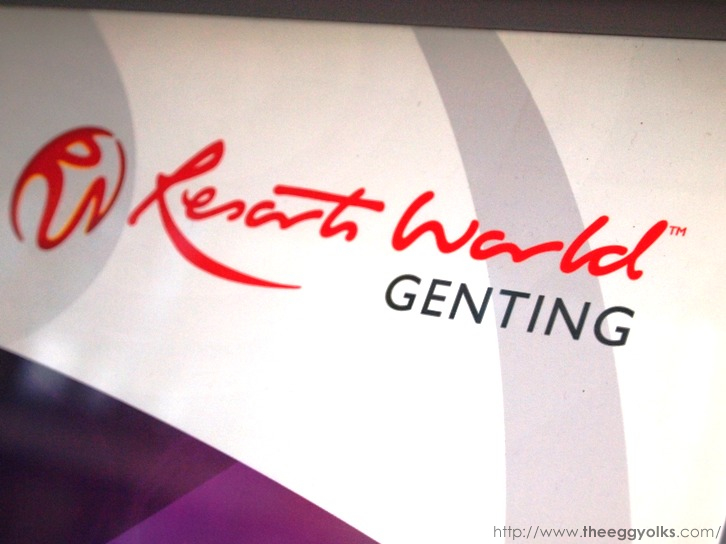 It's been a while since our last visited Genting, so Egg and I decided to revisit Genting last weekend (also to collect our prize from Resorts World Genting Blogging contest). 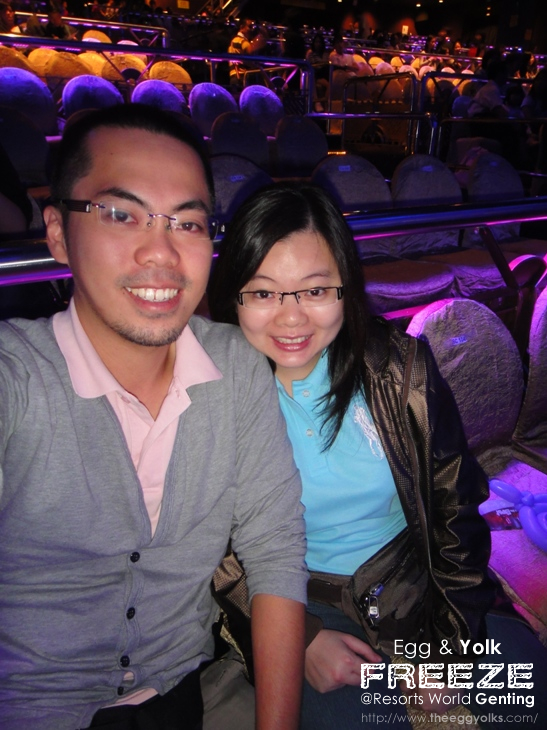 What we did in Genting in our previous visits were just the theme parks and also the casinos. Therefore, this time we decided to try something different. 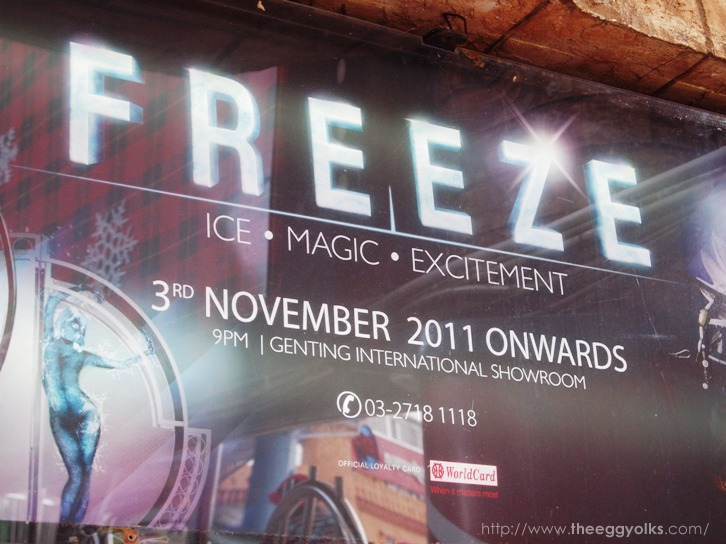 We went to watch the one and only Ice Skating show in Malaysia, FREEZE. Courtesy of Mei from Resorts World Malaysia. To be honest, we have no idea what the show was about and we thought it was just some skating performance with skaters skating and turning around. 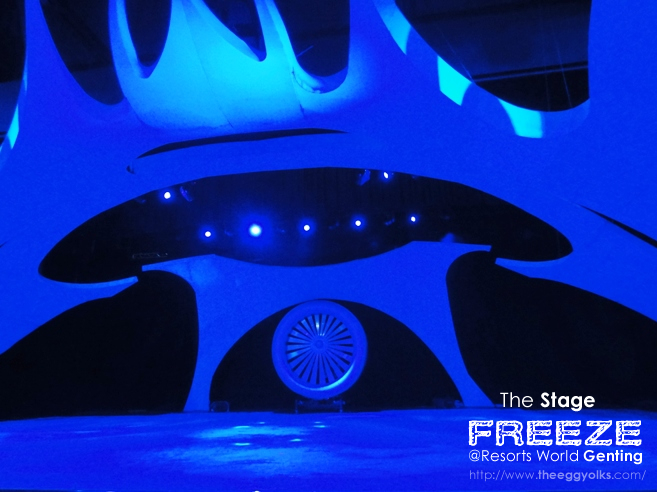 However, the show turned out to be something very different from what we expect! It's not just about skaters doing some stunning actions but it comes with a sense of humor and illusions too! Too bad photos and videos are not allowed during the show so I'd just have to draw what I remember during the show itself. 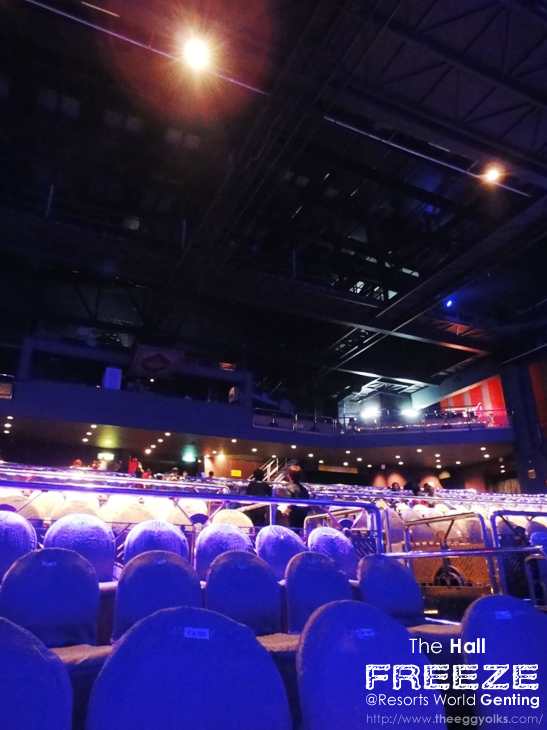 However, we managed to snap few photos before the show without being noticed by the staff. hehe! 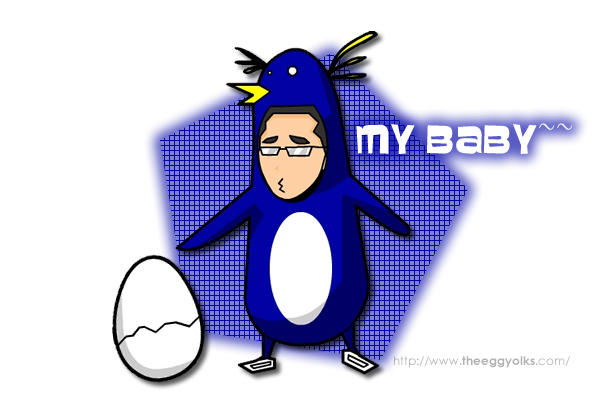 There was one part where he wear a penguin costume and act as a mommy penguin then he brought one audience to follow his act! 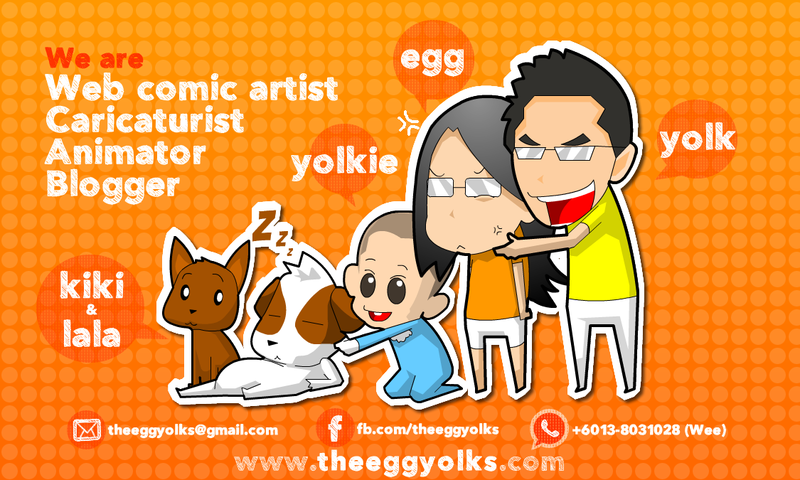 They were trying to hatch eggs while making all the funny voices and acts. That part was hillarious! Then comes a bunch of skaters doing amazing performances and dance. There're also these acrobatic teams doing stuns on ice. Seriously, everyone of us was thrilled when they were throwing their partners up and down without much safety features. 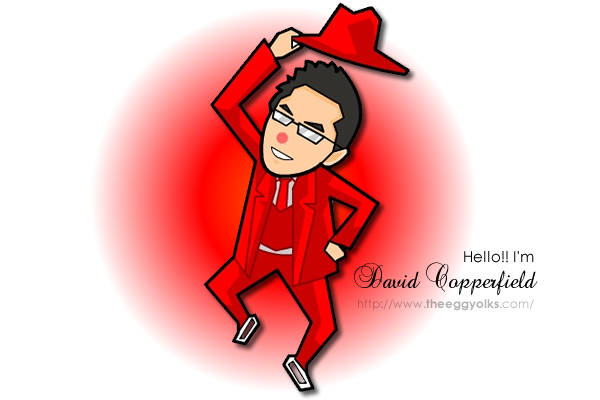 One word, AMAZING! Here's the photo of the whole crew after the show! If you're bored with gambling and themeparks, this show might just be something for you during your visit to Resorts World Genting. The tickets are sold with a very reasonable price. I would recommend you to take the package instead of buying the ticket just for the show. 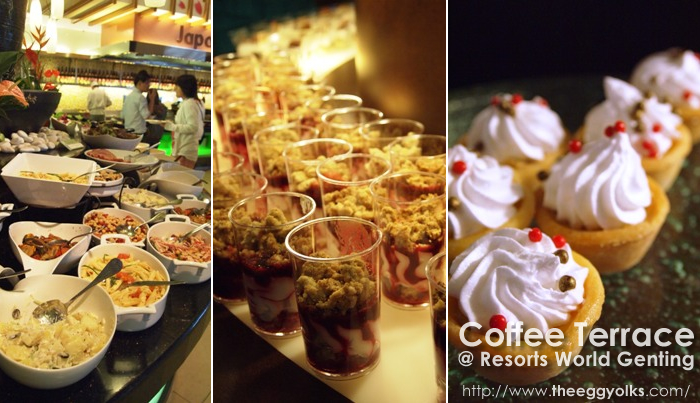 Not only you can enjoy the wonderful buffet dinner at Coffee Terrace, you can save as much as RM66.00! 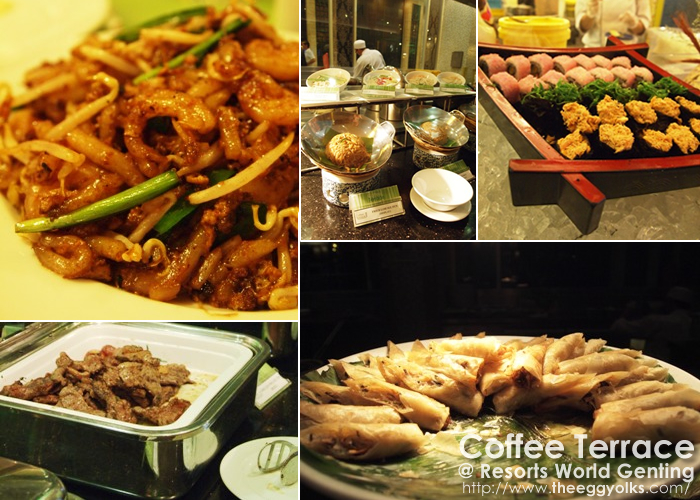 We actually had our dinner at Coffee Terrace and I can assure you, the food are FABULOUS! 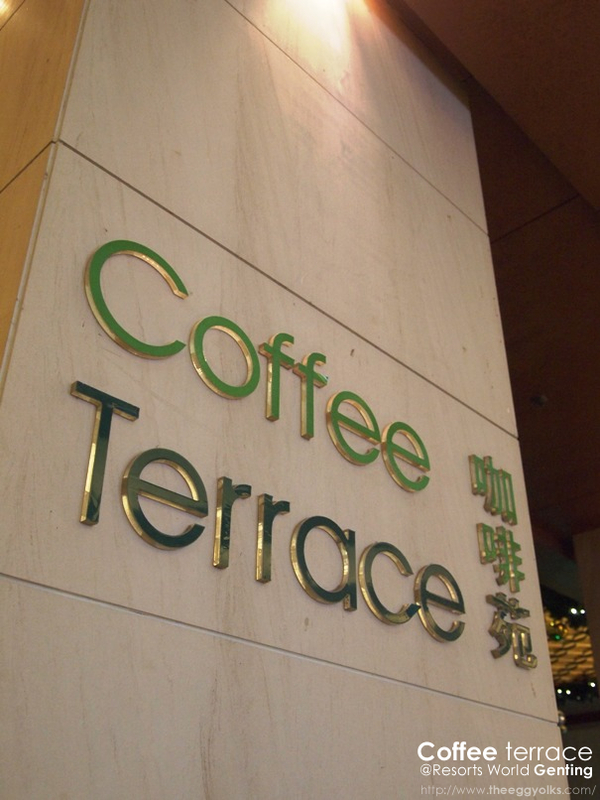 We've tried quite a lot of buffet lunch in our local hotel but none can compare to Coffee Terrace! 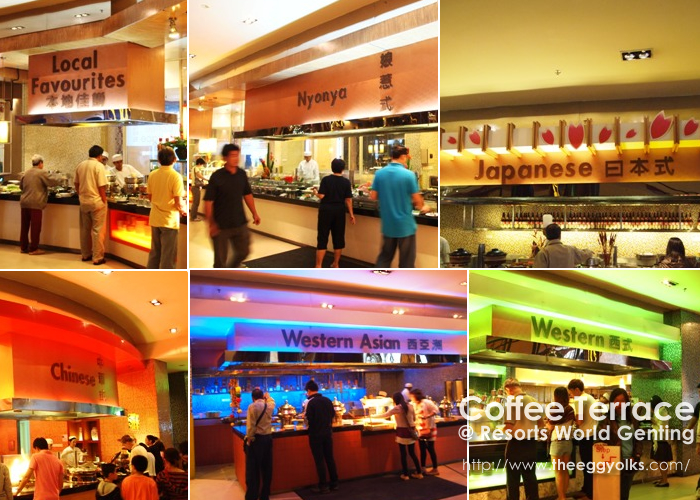 They have all types of food from local dishes to famous international dishes! 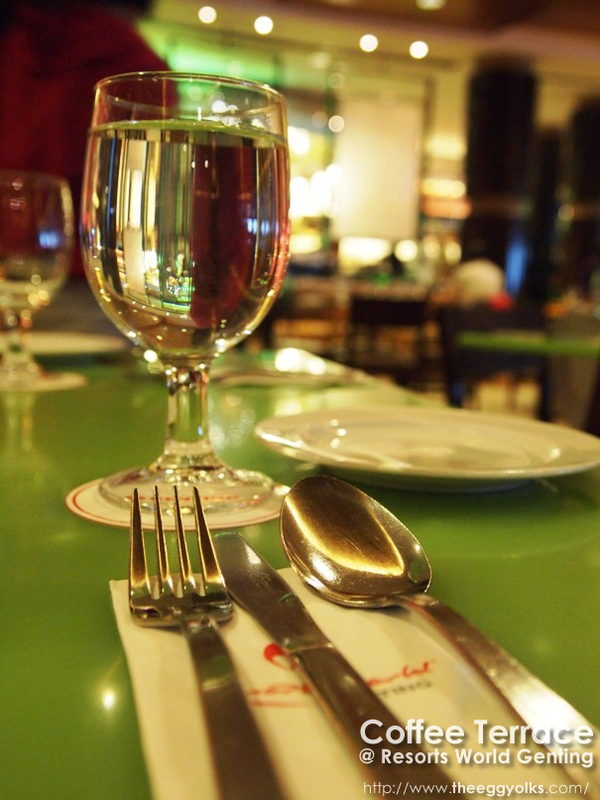 Have a great weekend ahead @ Resorts World Genting!